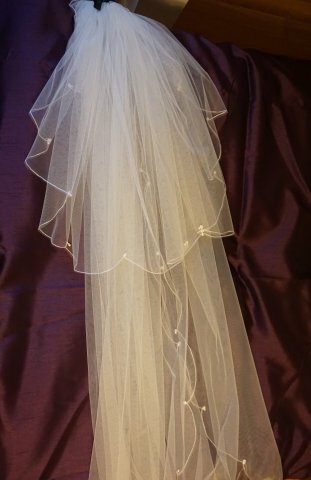 Ivory full length honeycomb veil with two layers. 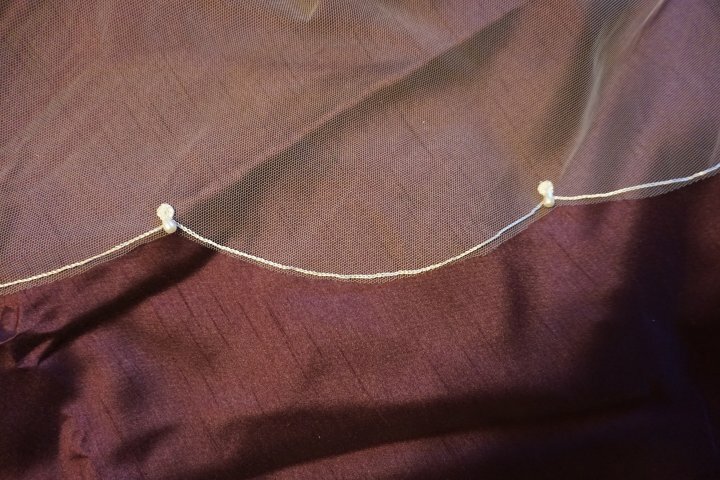 Scalloped edge with dropped pearl at each peak. 78” from top of comb.